There are many reasons why people achieve great success in their lives. And there are also many reasons why people fail to achieve what they want. If you want to be successful, you not only need to study success, you need to understand why some people fail in achieving what they want, and avoid making the same mistakes. In other words, you need to study failure. Knowing what makes you successful is good that you know what to do to get there. However, if you know what mistakes to avoid, you can skip all the detour and get to your destination even faster, sounds great, right? One word, procrastination. You see, no matter how many books or how many tools you use for time management or be productive, as long as you procrastinate and putting things off, you will never get your desired results. It is only when you stop to procrastinate and start doing things, you will create the result you want. Most people set goals but they never achieve their goals simply because they did not take enough action to make things work. 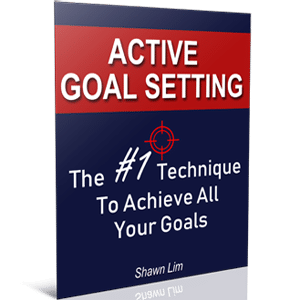 Do you know that goal setting is a very powerful productivity tool that you can leverage on? And sadly, because of procrastination, most people never accomplish their goals. Goal setting works, and it will only work to the extend that you work on it. Just like every other time management tools, they will only work if you work on them. There’s no use having a schedule or a time table of what to do and you did not work on it. There’s no use to have a goal if you’re not taking action on it. Some people spend a lot of money and time to learn how to use a time management app or software, but they fail to realize that the main problem is themselves, not the tool. Therefore, learn to get rid of procrastination before you start immersing yourself into all the productivity tools. The best way to be productive is by conquering yourself. Overcoming procrastination is one of the most powerful secrets to become productive and getting things done. Want to get rid of procrastination? Read this article now: Stop Procrastinating – 5 Ways How To Get Into Action. You have to learn how to conquer yourself before you can create outstanding success in life. Most people are having it the completely different thinking. For example, when the economy is slow, most people will think that it is because of the economy that their business get affected and suffer slow sales. In fact, the economy doesn’t responsible for your business, you are the one who is responsible for it. If you are sailing a ship, suddenly the wind changed direction, what would you do? Complain the wind had affected your journey and do nothing? Or are you going to change the direction of your sail to reach your destination? If you need to meet a client to deliver a sales presentation, and suddenly it rains, are you going to let the rain stops you or are going to meet your client despite of the rain? If you want to overcome procrastination, you have to understand this formula, “Event + Response = Outcome”. I first learned this principle from Jack Canfield. You have to understand that when something happens to you (Event), you can choose your reaction (Response). And because you can get to choose how to react, you can choose the outcome that you want. When you’re driving and someone honk you and overtake you, what would you feel? You cannot change the event that someone honk you and overtake you, just like you cannot change the weather and the economy. However, you can always change your response to get the results that you want. When someone honk you and overtake you, it doesn’t mean that you need to get angry, it’s just the way traffic is. When the economy is slow, you don’t have to complain your sales is slow. Instead, you can do something to improve and capture more sales. When you start to take responsibility and understand the formula, you can create change and produce the results you desire. So if you did not achieve what you want and always put things off, learn it that it is because of your own inaction and your own procrastination that lead you to your current result. Look at your targets and your goals last year, did you achieve them? If the answer is a no, take the responsibility and do better this year. You are in charge of your own life, you don’t have to let other events determine your destiny. So take charge of yourself and take up the responsibility right now. Learn to conquer yourself and you will stop procrastination at any given moment. If you want to be productive, get rid of the bad eating habit. Often times, I hear people say that they feel sleepy after they get into the office. And when I asked them what they eat for their breakfast, they told me they don’t have enough time for breakfast. No wonder. Your level of productivity, concentration level and physical energy level are greatly affected by whatever food that you put into your body. If you put in junk food all the time, you will gain weight and feel exhausted fast. If you eat healthy food, you will have better physical body and more energy to spend throughout the day. This is why what you eat is extremely important. For example, if you heavy heavy lunch, usually right after you get back to the office around 3pm to continue your work, you will feel sleepy and tired. The main reason for this is because when you overeat during lunch, your stomach will need to work harder to digest the food. And you will use up most of your energy there. This is why you will feel sleepy and tired in the afternoon. If you study the life of all great people and successful athletes, you will understand they took care of their physical body. They eat healthy food and they exercise a lot. Do you know that most successful business people spend their time early in the morning to exercise before they get to work? And most Olympic-level athletes have their own nutritionist and coach to guide them in the quality of food they eat? The same goes for reading. You have to consistently read positive and constructive information to nourish your mind. This is why they have the term called, “Garbage in, garbage out.” What you put in will eventually come out. If you study junk and eat junk, guess what you will become? So start from today onward, eat healthy food and be more conscious about the food that you are going to consume. Avoid taking junk food all the time and take nutrition supplements when possible. Are you someone who can easily get distracted? Do you know that distraction is one of the biggest killers of productivity? Just imagine that when you are in the flow in writing a great quality article, suddenly your phone rings and you answer it. And answered the phone you try to continue your work. Great, you get distracted and forgot what you wanted to type. Can you relate this event? It is just like when you are talking with someone related to an issue, but suddenly something distracted you. When you try to get back to the conversation, you can’t because you forgot where were you just now. This is why you have to learn to get rid of distraction at all cost, especially when you are working in your most important project, such as writing a book, brainstorming for business ideas, etc. You can use time blocking to help you to get more things done and avoid being distracted. Time blocking simply means blocking your time to do your one task, and that one task only. I usually time block my article writing and blogging early in the morning from 830am to 10am. During this period of time, I will never do any other thing. I will focus myself in writing and silent off my phone when necessary. I will never walk around or do other things until the time block ended. Time blocking is a very powerful productivity tool that you must learn to utilize. In fact, it is so powerful and important that I would recommend for everyone who wants to get more things done and be productive. So plan right now to time block your work. What are the tasks that you need to get done? What are the things that you need to do so that you will be more successful? Time block them early in the morning so that you will have the most out of each day. I believe that there are times when you wake up late, you jump out of the bed and get to brush your teeth in a rush. And because you’re late, you did not take your breakfast and jump into your car straight. Guess what, Murphy’s law says that whatever can go wrong, will go wrong. It’s heavy jam and you stuck in the jam for another 30 minutes. You are now late for your Monday morning meeting and you when you arrive into your office, you did not prepare for the meeting and you screw things up. Have you ever have this scenario in your life before? I believe that people will experience this scenario as long as they did not prepare and plan for their day. When you did not prepare, there is a higher chance that you will wake up late and everything screw up. This is why they said that if you fail to plan, you are planning to fail. And planning is one of the most important things that you need to do in your life. You need to plan for your marriage, your life, your business, your travel, etc. If you did not plan, either those events will never come into your life or when they come into your life, they come in a mess. I’m not saying that you have to plan for everything. Just that important things in life such as marriage, success, business, your finances, and travel, you definitely have to plan for them. When you plan for something, you will get better prepared and you will find out what you don’t know. For example, if you wanted to start a business, would you plan for it? For those who never plan for it and just do it, usually they will screw up big time. They did not check their competitors, they did not know how many similar competitors out there, they did not know their business cost and overhead, they did not know their products and services strength, etc. And for those plan, they will eventually find out all the information that will improve their business and to make their business thrive. When they plan for it, they know where to situate their business, how much is cost to operate their business, what is the overhead, what kind of manpower they need, etc. These are the differences between planning and going in without planning. When you plan, you are taking one step toward achieving the success you want. Creating the success you want is not a sprint, but a marathon. Can you imagine if Thomas Edison forced his team to work 24 hours a day, what would happened to his team? Everyone will suffer burnout and the result will never be the same anymore. Success is a long-term journey which you need to consistently recharge yourself along the journey and realign yourself with your destination. It is not something that you can do for 1 day and you will get your desired result. Just like if you want to have a macho body, going to the gym for just 1 day is just not going to work. You need to go to the gym consistently , every day, and you will get the result you want. Would you spend 24 hours at the gym in one go to build your body or would you rather spend 2 hours each day for 12 days to build your body? Of course you would choose the latter. The first option is just not body building, its body destructing. It takes time to grow your muscle. It takes time to build a successful business. It takes time to develop yourself into a superstar athlete. Everything takes time and you just need to nurture it and give it enough time. If you don’t want to suffer burnout, you need to have enough sleep and rest, have time to exercise, have solitude time, get away from your business or work once in a while, take a vacation, travel oversea, etc. There are many ways to recharge and replenish your energy. It can be as simple as taking a short nap. Or it can be as crazy as taking a 2-week long vacation oversea. You should schedule short rest within your day. And you can plan for a vacation trip oversea once or twice a year. It is totally up to you how you want to do it. You just need to understand that success is a long journey. It may not come to you as early as you expected. So put in more time and recharge yourself consistently so that you will have the energy to go for the long run. Multitasking is not the right way. What? Yes, you read that correctly. A lot of people thought that they should learn and master how to multitask, and this is so wrong. When we try to do things all at once, we thought that it is productive, but in fact it is not. Doing everything altogether is just not going to increase your productivity, it actually decreases your productivity. There’s a saying, if you chase 2 rabbits at the same time, you will not catch either one. When you try to multitask and do 2 things at once, what actually happens is that your mind will concentrate in one, and then switching to another one, back and forth, back and forth… And most people thought multitasking is productive. Multitasking will never work, especially if the tasks requires a lot of your attention. For example, you can drive and listening to songs from the radio, no problem. But what really happen is that when you fully concentrating in listening to the songs, you don’t really focus in the driving. This is why sometimes people take the wrong route or make the wrong turn. They simply did not focus in driving. The effect of multitasking is small when you are trying to do 2 things that require less attention. However, when the tasks that you are doing require your thinking and attention, you can never do it. At a lab at the University of Michigan, researchers are using an MRI scanner to photograph test subjects’ brains as they take on different tasks. “If I’m out on a street corner and I’m looking for one friend who’s wearing a red scarf, I might be able to pick out that friend,” Weissman said. Can you try to think of 2 things in the same time? It is near to impossible. Your brain will just switch the thinking and you thought you are actually thinking 2 things in the same time, which is not correct. So if you want to be productive, don’t multitask. You can only multitask when you are doing 2 tasks and 1 of the tasks does not require your attention much. Just like writing and listening to song. Listening to song does not require your full attention. For best result, don’t multitask. Put in 100% focus and work on your task. After you have done, you can choose to relax and listening to songs. This is a better to do things. If you want to be productive, you have to think about your goals and your dreams all the time. Most people focus in the wrong thing, they think about the problem instead of the solution. Productive people focus in thinking about achieving their goals and the solutions. Unproductive people will think about what is stopping them, what if things happen, or they tend to focus on the problems than the solution. Our world is loaded with all sort of information and ads. When you unlock your phone, there are so many apps there waiting for you. When you watch TV, there are just so many ads trying sell you something. When you drive down the road, you can see ads along the roadside, you even got advertisements through the radio. Distraction is everywhere and our attention span is getting shorter and shorter. Do you know that we have less than 8 seconds of attention span in this new world full of distractions? Research has shown that even gold fish has an attention span of 12 second. This is why if you want to be productive, you need to learn tools such as affirmation, time blocking, visualization, vision board, etc to help you stay focused with what you want in life. One of the saddest news is that most people forget about their goals after they have set them. No wonder goal setting does not work for most people. You need to keep your goals alive. So from now on, think about the right thing and focus on your goals. There are many things you need to avoid in order to go through your days productively and get things done. If you can master the art of being productive, you can and able to achieve all the goals that you have set. The most important idea for you to grab here is to understand that you are in control of your own life. If you are being distracted most of the time or are putting things off and procrastinating on what needs to be done, please understand that it is your own responsibility. You have a chance to say no and to work on your goals. So choose to do the right things and avoid being distracted. Successful people know what is important to them. They will get those tasks completed first before they free themselves for other things. I read this and realized most of the things here apply to me? Now to make those changes to start changing my small results into more frequent bigger outcomes. For too long I have been guilty of putting things off, Getting distracted, Not having a daily plan, Trying to do too much sometimes, and until recently focusing on the wrong things? Now for a fresh approach and greater determination to keep on going until that break through becomes unstoppable? Thank you for this, now for a new beginning.